Oxford University Press, USA, 9780199215096, 496pp. 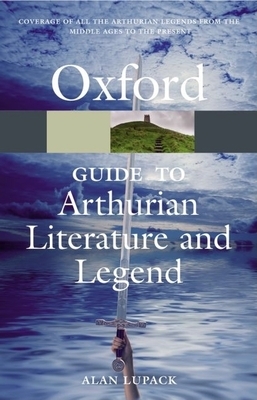 The Oxford Guide to Arthurian Literature and Legend is both a critical history of the Arthurian tradition and a reference guide to Arthurian works, names, characters, symbols, and places. Seven essays offer a comprehensive survey of the legends in all of their manifestations, from their origins in medieval literature to their adaptation in modern literature, arts, film, and popular culture. It also demonstrates the tremendous continuity of the legends by examining the ways that they have been reinterpreted over the years. The indispensable reference on the subject, it also contains encyclopedic entries, bibliographies, and a comprehensive index. The extensive chapter-by-chapter bibliographies, which are subdivided by topic, augment the general bibliography of Arthurian resources. Comprehensive in its analysis and hypertextual in its approach, the Oxford Guide to Arthurian Literature and Legend is an essential reference book for Arthurian scholars, medievalists, and for those interested in cultural studies of myth and legend. Alan Lupack is Director of the Robbins Library and Adjunct Professor of English at the University of Rochester, New York. He has written extensively on medieval and modern Arthurian literature and is the creator of The Camelot Project, an award-winning database of Arthurian texts, images, bibliographies, and information.